When the season turns a little cooler I usually tend to choose warmer foods to eat. I believe wholeheartedly that we should eat locally and with that, eat what is in season. One of my favorite fall foods is, sweet potatoes. I do eat them year round, but tend to eat them more in the fall than any other season. Sweet potatoes are root vegetables, however you can eat the shoots and leaves as well. I have not tried it, so I can’t attest to the taste. Would love to hear from someone who has tried it. It usually can grow fairly large and has a starchy sweet taste. This vegetable may be a good option for those looking to satisfy their sweet cravings. 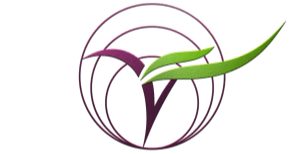 If you would like to see the nutritional value of a sweet potato and the history of this amazing plant, you can visit here. 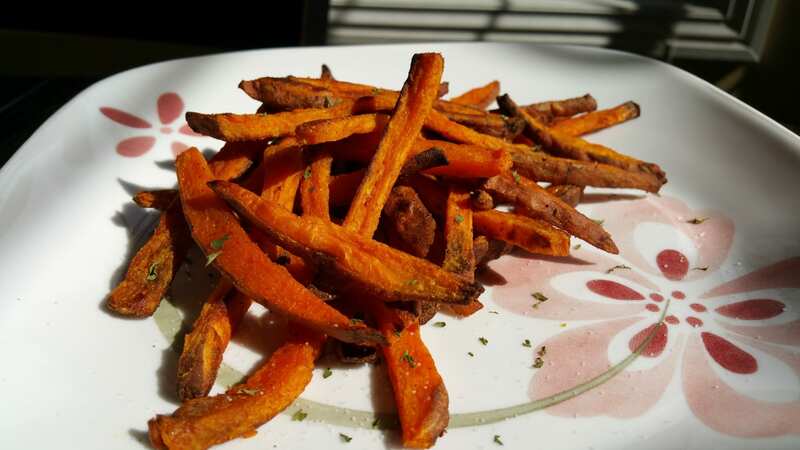 I love homemade sweet potato fries. I find them really good, when they are made well. I have had a few batches that didn’t turn out great and they were too soft. 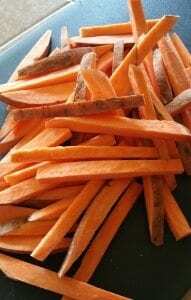 I did a little research and found a recipe that actually helped make my fries more crispy. I found the recipe on Creme de la Crumb. She also has a recipe for dipping sauce but it was not vegan. Instead I chose to dip use the Just Mayo Sriracha flavor. It tasted amazing. Enjoy. 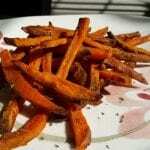 This is a great recipe to make crispy sweet potato fries. I loved the taste and the crunch. 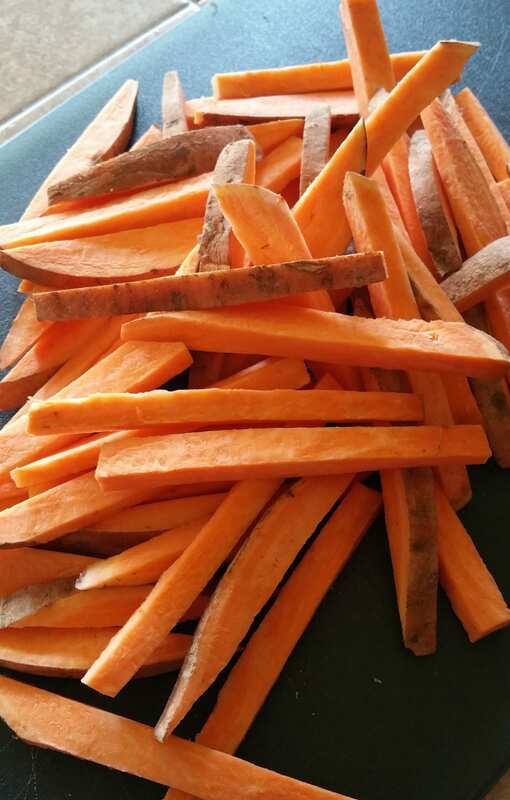 2 med Sweet potatoes Julienne your sweet potatoes (cut into small strips). Preheat oven to 450 degrees. Line cookie sheet with foil. Julienne your sweet potatoes and place them in a pot of boiling water for 5 minutes. Strain sweet potatoes from pot and layout on paper towel for 5 minutes or so. Place sweet potato strips in a gallon Ziploc bag. Put oil and seasonings into bag and shake lightly. Make sure each piece is coated with the oil and seasonings. Bake 15-20 minutes, flipping the fries half way through. Serve hot with dipping sauce, such as Just Mayo- Sriracha.